In case, you have not yet made your way to the beautiful, white design store in Bikaner House, Vayu Design For Living, we are giving you another reason. What, you ask? Lecoanet Hemant has you set for an indulgent day of shopping, with apparel that will be a perfect addition to your summer wardrobe. A sea of serenity in an otherwise chaotic existence, these outfits are classy, elegant and versatile. Read through and try to pick your favourite, because we tried and failed. We want them all. Heading to the beach? Make your summer sojourn even more fun with this fun ensemble. With simple prints, this one is sure to keep you looking stylish, while at the same time help you stand out in all those Instagram-worthy pictures. Win-win guys. We often find ourselves shopping for regular or cookie-cutter styles, but it’s time to say goodbye to that, because Lecoanet Hemant manages to give even the most simple outfits a unique twist. Take for instance this outfit which combines a shirt and shorts on one hand and a classic white top and trousers on the other hand; a proof that that rich fabrics and flattering silhouettes are key elements for versatile pieces. And, of course, this is easiest way to win brownie points for your style statement, we promise. Whether you’re in the mood for some monochrome magic or want to add some contemporary style to your outfit, make sure they add a glam element to your wardrobe. These outfits are a great buy, because they are high on the fashion quotient while at the time comfortable for long and hectic flights. Traveling in style just got a whole lot easier. The versatility of a good dress is unquestionable. Whether it’s date night, lunch with ladies or regular work hours, this is one piece of apparel that will be the answer to all your “what do I wear?” questions. We recommend this one for all your celebrations. Pair it with some casual footwear and you will be ready to party all night long. The Ayurganic range of outfits is perfect for yoga, cardio, running, the gym, or if you’re just one of those who likes to lounges around in track pants. Handcrafted and based on Ayurvedic principles, this line has apparels that are both conscious and stylish. 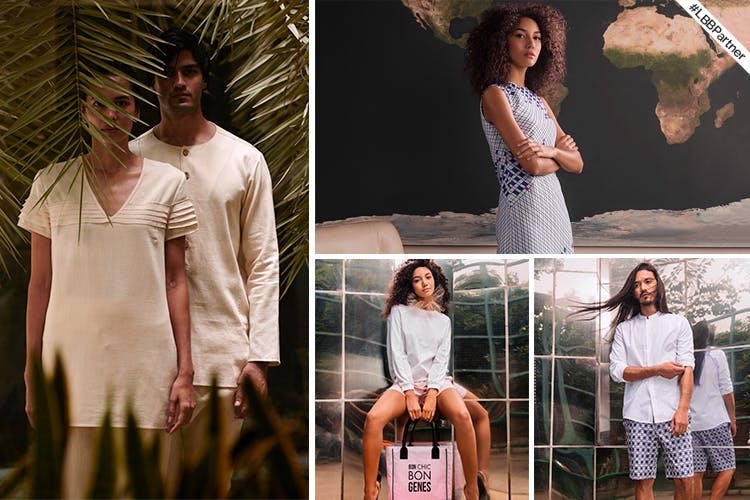 All the design in this collection combines the brand’s love for Ayurveda, sustainability and a minimal aesthetic to create designs that we adore. The classic shapes and elementary designs have won us over. Summer best friend, we say. With a prime focus on affordable luxury that helps you to achieve cultural individuality in a globalised world, Lecoanet Hemant has two broad collections namely Genes and Ayuranic. While Ayuranic leans more towards breathable fabric, the Genes collection is a modern alternative to contemporary clothing. The best part? They are a great addition to your summer wardrobe. Check them out today. Their recently concluded exhibition Paris, New Delhi was an attempt to showcase their journey from Paris to New Delhi. With apparels that dated back to more than 25 years, this one was truly an incredible experience. Find out more about Lecoanet Hemant here. Follow Lecoanet Hemant on Facebook here, Instagram here and Twitter here. This post is in partnership with Lecoanet Hemant.